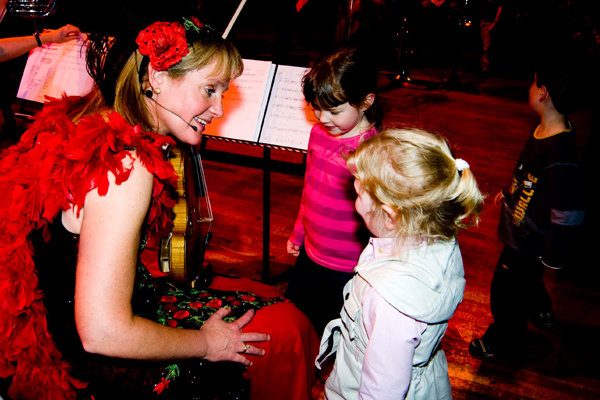 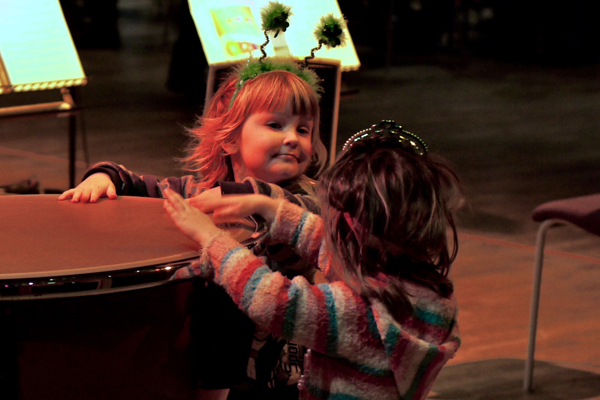 “Notelets” is the CBSO’s hugely popular concert series for pre school children. 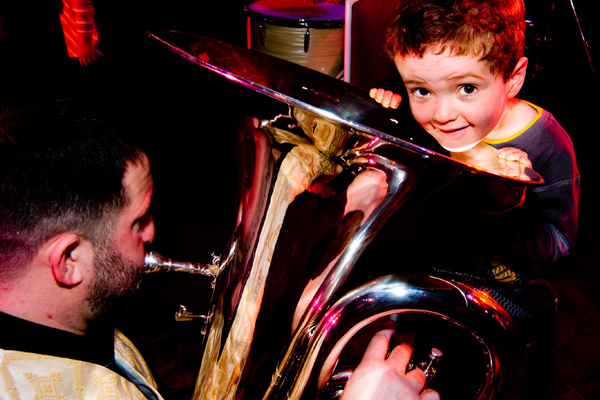 Created in 2006 it has evolved enormously in its first 12 years. 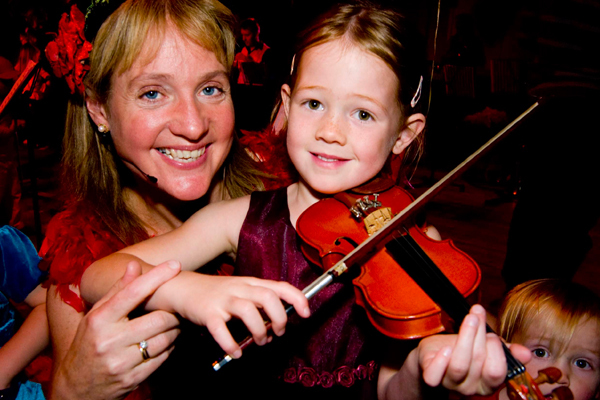 Presented by Catherine and using players from the orchestra in varying chamber ensembles, the performances are a fast paced, interactive introduction to classical music. 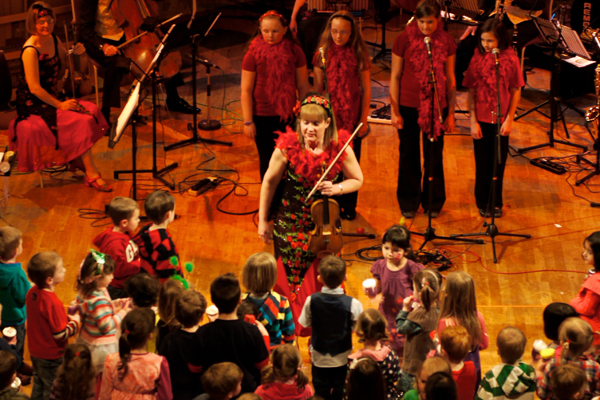 The concerts explore themes from ‘I got rhythm!’ to ‘Move and Groove’ to ‘Crash Bang Wallop’. 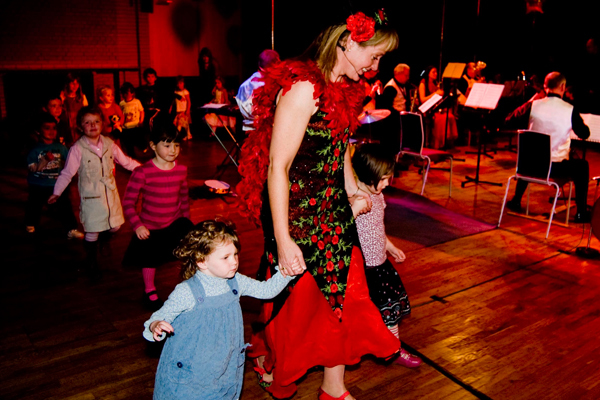 The children are encouraged to join in in every possible way – singing, dancing, marching, playing along, doing actions, even joining in with musical statues. 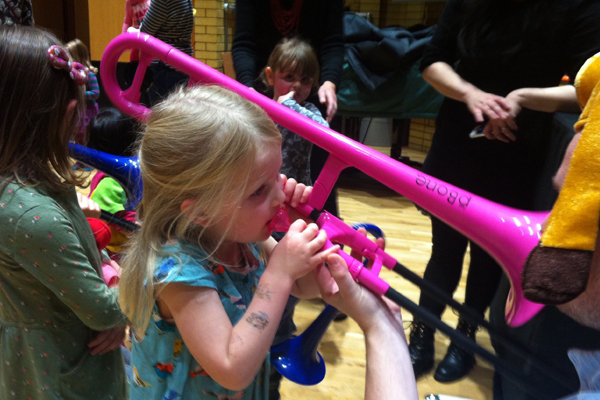 As Notelets has evolved the CBSO players have really embraced the challenge of performing for such young audiences and have developed impressive new communication skills!